The first of the fruit of the Spirit listed in Galatians 5:22-23, and not by accident. Love is what we all remember the most about our relationships, and is reflective of our Maker, for it’s the driving force behind all He expresses to us, His Beloved. Love shaped us in the secret place when His love couldn’t wait to meet us. Love bought us back from the land of darkness when we couldn’t escape the chains of our sins. Love bore the shame, pain and death we were due. Love invites us to come, no matter what, wherever we run or roam. Love looks us square in the face, and always welcomes us home. Take a peek at 1 Corinthians 13, and you can clearly see God’s love written there, the pattern for how we are to love one another. Like cherries, everything is better with love, even when it may leave a semi sweet tang afterwards. Love is the best flavor we can add to our lives & to those we care for. Love lasts forever, and is never fading – just like God. I know I need more love in my life, especially on the days I feel my love cup is running close to dry, when everything seems to be going wrong, and those I am closest to are driving me nuts. 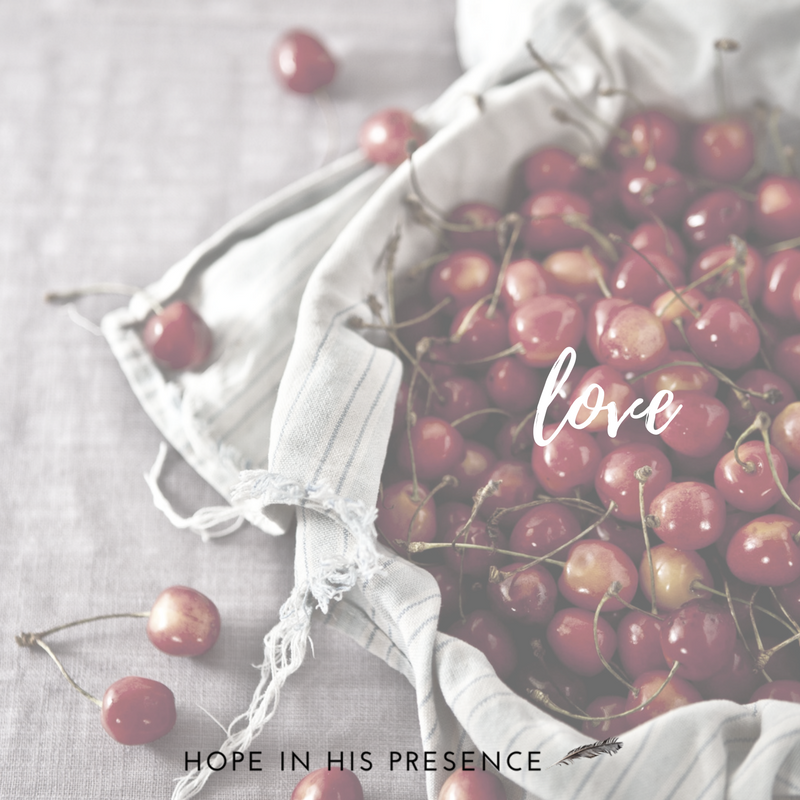 How lavishly God always pours His love on those who ask Him to do so! Because He loves us so (1 John 3:1). Love is at the top of my add-to-my-day list, for I know as much as I must need it, so does everyone else!